Dry carpet cleaning services available in Miami Dade and Broward County for hotels, condominiums, offices, large hallways and large carpet areas with high traffic where minimum down time of carpet is required. 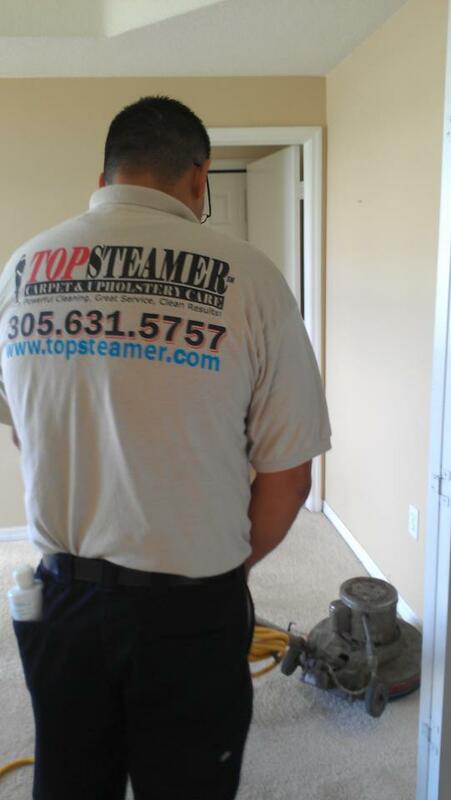 Call Top Steamer today to request a free estimate 305-631-5757 or fill out the contact form to your right. We also provide hot water extraction cleaning for those heavily soiled carpet that require a restorative cleaning.